Keep your horse's energy cool and focused with Cool Calories 100 by Start to Finish. It's the perfect, easy-to-use addition to your feeding program for focused energy and improved body and haircoat condition. 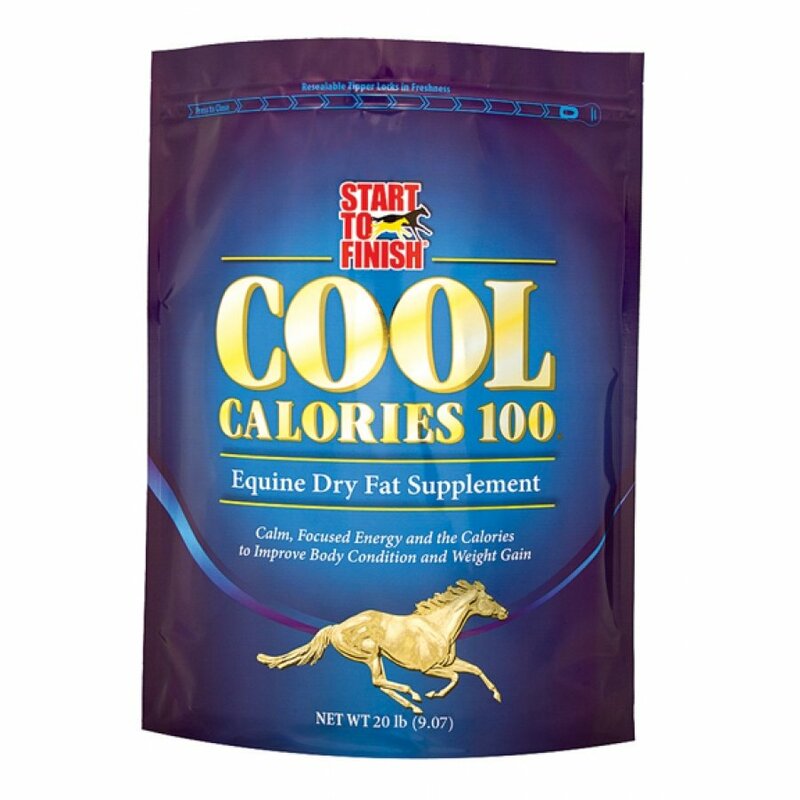 Start to Finish Cool Calories 100 Equine Supplement has different options and/or variations, please choose below. 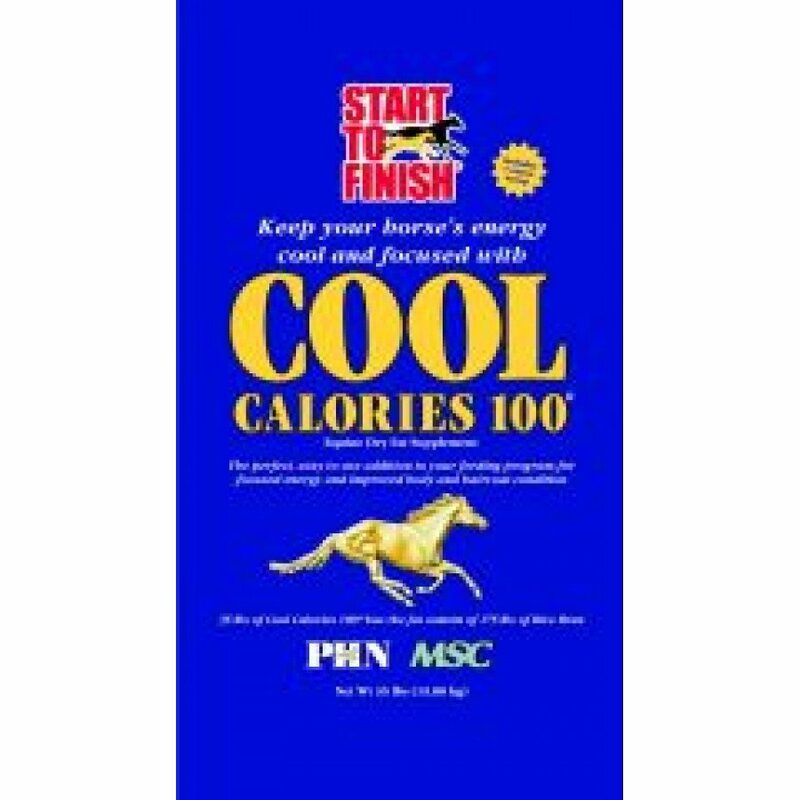 Cool Calories 100 is a concentrated energy supplement suitable for all types of horses. Cool Calories 100 provides essential fatty acids for skin and hair condition, as well as the calories needed for weight gain and exercise performance. Cool Calories 100 contains 5 times the fat of an equal amount of stabilized rice bran. This is, 8 pounds of Cool Calories 100 has the fat content of 40 pounds of rice bran. Further, Cool Calories 100 does not conflict with fortified feeds. Available in 8 pound pails, 20 pound pails, and 35 pound bags.